Lia and Clay have found a way to be together…kind of. Their goal is to turn Clay into a mermaid so that they can be together forever. But that is easier said than done when their romance is still currently forbidden and unknown to everyone. And when old enemies resurface Lia is forced to stay in the palace, once again keeping her and Clay apart. And her only hope lies with the girl who once tried to kill her and the boy she loved. 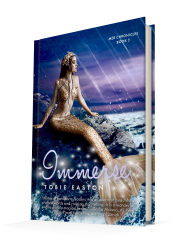 Published March 19, 2019 by Month9Books Immerse by Tobie Easton is the final spellbinding novel in her Mer Chronicles following Lia, a descendant of The Little Mermaid, and her forbidden love for Clay, a human. What an incredible conclusion to Easton’s wonderful Mer Chronicles series that takes the tale of The Little Mermaid and expands upon it. It’s a wonderful read how in the way that it connects to the original tale, reenacting it in its own way. But the more riveting part of the story is the world-building. Easton pours her heart and imagination into making this novel come to life beautifully. Easton clearly worked very hard to construct a different set of linguistics. The novel has its own dictionary that works so well to bringing to book to life in such a realistic way. The culture is so vibrant, and the dialogue is incredibly rich and thoughtful. There is also the way the novel differs from the previous two novels. Instead of just focusing on Lia’s perspective, it also splits by showing the reader Melusine’s perspective. Both girls’ function as foils of one another, their tones so completely different than one another. 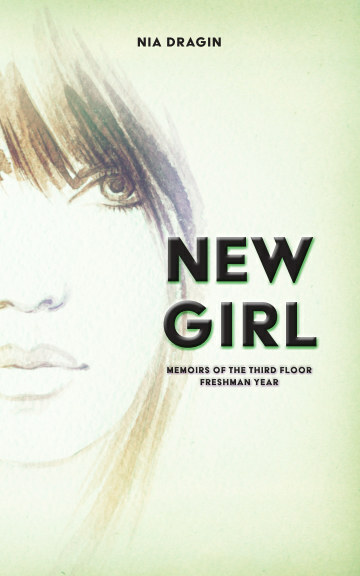 But whereas in the previous novels Lia seemed like an almost infallible character, her prejudice against Melusine clouds much of her judgement, making her a flawed and character, and in some ways, more human and more relatable. Then there is Melusine, the former antagonist who tried to kill Lia and Clay in the first novel, and who also helped in Caspian’s rescue in Emerge. She is a character on the road to redemption in this novel, and understanding her, bringing to life her life, her past, her perspective, shows where she came from, and gives the reader a chance to understand her motivations, why she did the things she did. This allows her the chance to grow, to become something more than a villain.